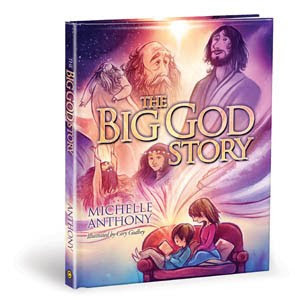 I JUST purchased a new children's story book by Michelle Anthony called The Big God Story. "It's not just any story. It is a true story, full of mysterious people and secret plans and last-second escapes. It's God's Big Story, and every part tell us about His promise to love us. But let's not get ahead of ourselves. Let's start at the very beginning, when God made the world..."
"You've just read the Big God Story, but it's not The End! You can be part of the Big God Story too and tell others about God's great promise." So incredibly profound - and it's a children's book! A girlfriend of mine is currently dealing with a loss in her life. Although her heart is hurting, with much wisdom she has been able to say, "We shall see how the story unfolds." I admire her ability to see this season as part of a greater story. I sometimes find it difficult to see past my current situation, as I'm sure people all throughout history have as well. The thing is, in the grand scheme of things often my current situation isn't a "big" or as "bad" as I make it out to me. That's not to say that things I (or anyone else!) am dealing with are unimportant or insignificant, rather the seasons I go through are just apart of the Big God Story. The Big God Story is bigger then the words that can be read in The Word, and it's bigger then what God is doing on the earth at the moment. The Big God Story is one that I will likely never fully know or understand in my lifetime, yet I have the distinct honor and privilege to be apart of it. And so, in the words of my beautiful, world changing friend, "We shall see how the story unfolds," not only in my life, but in the lives of the remarkable people around me. 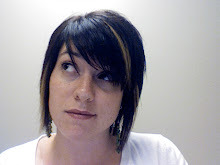 Labels: books, kids, thoughts...possibly lessons from God.